Rachael’s garage is gorgeous. There is at least one oxymoron with this statement, the most obvious one being “gorgeous garage”. How can that be? It’s a garage! A place to put your car, lawnmower, rakes, shovels, old cans of paint, tools, bikes and golf clubs. Yes, Rachael’s garage has all of those things too, plus paddle boards and skis. But it also houses her floral studio business she calls ROOTS. This garage is no ordinary garage. It’s air-conditioned and heated. It is clean and organized. No oil-drip stains. No spider webs, dust and dirt collecting everywhere, like in my garage. The exterior is shake-shingled with paneled translucent doors. There’s a giant metal rooster sculpture parked outside of the side door, welcoming in clients, friends, dogs, and my grandson, Win, who loves Rachael...and the rooster. Yes, Rachael’s garage is a happy place to be. I’m pretty sure I could live there and be quite content. You step inside and you are immediately greeted with an infusion of aromatic scents emitting from an explosion of flowers and greenery for use in her creations and immediately elicits happiness and joy in your soul. There are buckets and buckets of them. There are vases and wires and ribbons and all sorts of other decorative additives with which she adorns her arrangements. At Christmas time, her pergola outside of the garage is filled with fragrant pine trees, majestically standing in containers of water, waiting for Rachael’s magic touch to bring even more beauty to an already perfect piece of nature. Soon, the embellished trees, along with her handmade wreaths of magnolia, bay leaves, berries, and pods, will be gracing the homes of stunning Deer Valley and Park City homes for those people lucky enough to have discovered her, because her creations are truly works of art. We all have talents unique to us. Many of us yearn to uncover our talents and a lucky few of us actually turn our talents into a profession. Rachael is one of those people. She became interested in flowers because of her grandmother, who was a devoted gardener and exposed Rachael to her passion as a child. Rachael had always wanted to own a flower shop, but fate intervened and eventually took her away from her family and Salt Lake City to Paris, France. Rachael never wanted to be a fashion model, but she became one unexpectedly. “I never thought about being a model until one day I was hanging out with my high school friends at the local mall and I was approached by a New York model scout who gave me her card. After that, I signed with a local modeling agency and worked here in Salt Lake, and then won a national model search with offers to go to New York City and Paris. It’s kind of embarrassing,” she said with a grimace. “It’s cheesy.” But to a 17-year-old girl, it was all very exciting and compelling. What teenage girl hasn’t dreamed of fame and fortune? A modeling career sounded like all of that. Rachael ended up signing a contract with the iconic Ford Modeling Agency. She was based in Paris and lived there for almost two years, working runway shows and appearing in national and international advertisements and magazines. But it wasn’t what she had thought it would be. Eventually, modeling became unbearable for Rachael. “I found myself to be starving all the time and decided I liked food,” she said. Imagine living in Paris, aka “The City of Light”, France. I’ve been to Paris several times. It’s achingly beautiful, with its stunning architecture, romantic cobbled streets, and an exquisite language so fluid and musical that it sounds like a song. And then there’s its mind-blowing food: crunchy baguettes, pungent cheeses, pastries so delicate they melt on your tongue and send your taste buds into orbit, sweet gelato sculpted in the shapes of roses, and, let us not forget, its smooth, crisp, aromatic wines that launch you into another realm of ecstasy. This is what Rachael faced in her adopted home. Every. Single. Day. And she couldn’t indulge. She practically lived on boiled chicken, green beans, green apples, and black coffee. It was pure torture, and also the final straw. Starvation was too high of a price to pay, so she left the world of modeling and moved back to her hometown to start over. “I was going home for Christmas and one day while I was walking around Paris and getting ready to leave, I made the decision I wasn’t coming back,” she remembered. “So, I ate several pastries and a cheese burger, and came home early and that was that!” She enrolled at the University of Utah to study architecture and resumed working in the floral design business. 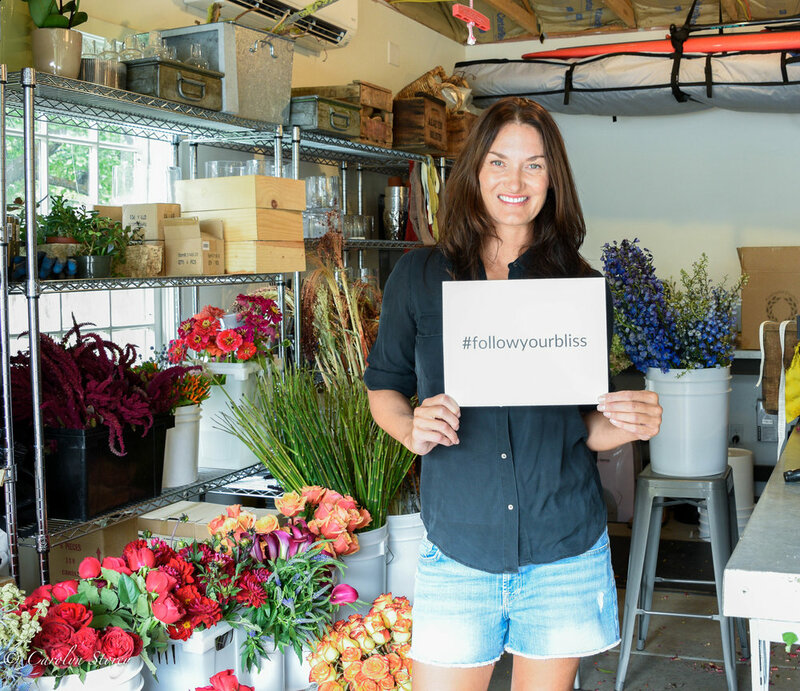 Not surprisingly, Rachael’s love of flowers kept her attention more than school, and after her friend asked her to do the flowers for her wedding, she decided to focus all of her energy on building a floral business. While in Paris, she had fallen in love with the flower marts there. “I couldn’t eat in Paris,” she said, “But I got inspired by the flower shops on the sidewalks. They were arranged in block colors, like pink tulips all together. It was so amazing. 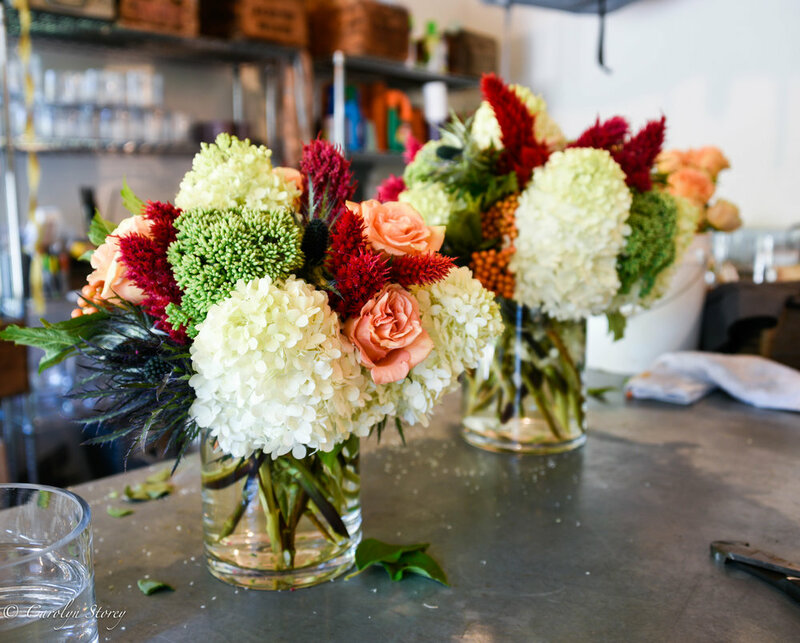 Flowers in France were simple and I took my inspiration from that.” Because owning a flower shop had always been her dream, she decided to go for it. After her friend’s wedding, her business snowballed and she hung up her shingle and called it “Roots”. As her floral business grew, so did her reputation, and she was invited to demonstrate her floral arranging talents on a local television program called Homes Today Utah. From this exposure she was contacted by a television producer from the very successful television network HGTV (Home and Garden Television Shows) who asked her if she would be interested in a national show. She turned it down. “I could have made a lot of money,” she said. But she was content with the success she was having at home. Fame and fortune be damned! Most women, myself included, find ourselves continually inundated by images of beautiful women everywhere we look, adorned in gorgeous clothes in exotic places, appearing as if they are having the time of their lives. It can be challenging not to feel a little envious and insecure at times. I asked Rachael what she, in hindsight, thought of the modeling business. I asked Rachael how her experience in the modeling world, with its emphasis on external beauty, affected her self-esteem. She thought for a minute, and said, “I am jaded because of being a model. It did damage to me...."
Rachael started Roots in 1995 and continues to happily play with flowers today. But while she used to work almost nonstop, seven days and 60 or 70 hours a week, she now focuses on having more balance in her life. She gave up her brick and mortar store and relocated her business to her garage. She plays golf, skis, and takes vacations now. I asked her if she is happy. Rachael recently went on a river float trip for four days. There was no cell phone service, no internet, no devices. Just her, her paddle board, friends, food, and wine. It was the end of summer, a risky time to do any kind of water vacation in Utah, and it was cold. But she and her friends laughed and laughed and laughed.